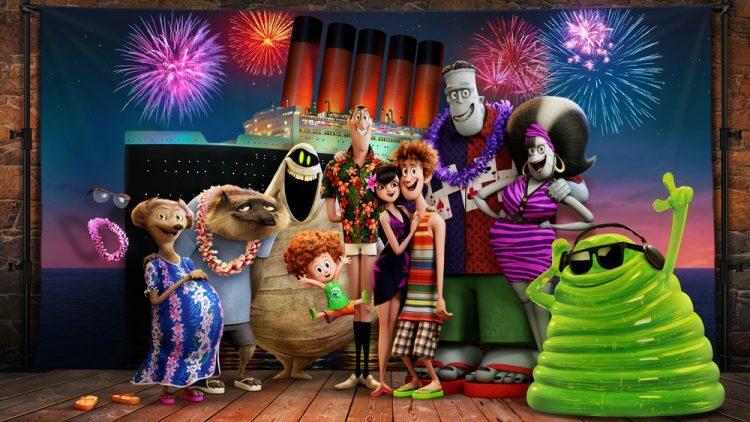 You are at:Home»Featured»Get In the Mood for Halloween with Hotel Transylvania 3! Halloween is just around the corner! There is a lot you can do to get in the mood for the season, from decorating the house to carving pumpkins. Around here, we love enjoying a fun family movie night, featuring a film that is a perfect fit for the season. This Halloween season, we were excited to learn that the latest edition of one of our favorite family Halloween films is being released from Sony Pictures! That’s right! Drac, Mavis, and the rest of the crew is bringing more spooky fun. And just in time for your Halloween family movie night! This time around, they are off on a monstrous summer vacation, full of hilarious fun. The movie takes place on a luxury monster cruise ship. Of course, our favorite monster family is having a great time relaxing together. At least things start out that way. I think we all know that when Drac is around, things never quite end up how we expect them to. No spoilers here! I’m not that kind of girl. 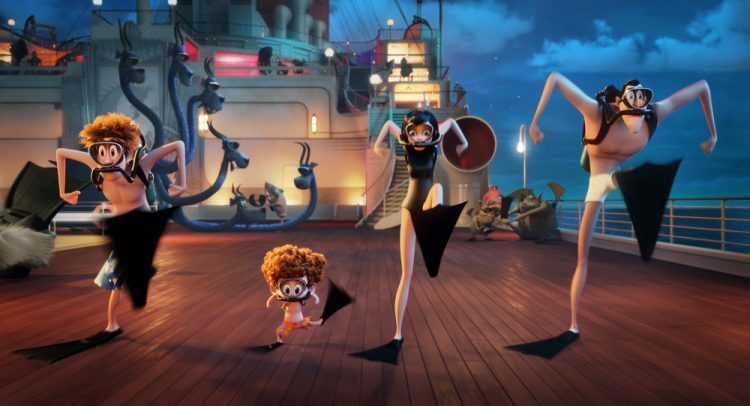 You’ll just have to gather up your favorite little monsters, grab some popcorn and candy, and snuggle up on the couch on October 9th to get in the mood for Halloween with Hotel Transylvania 3! All I will tell you is that it’s a perfect family movie for the spookiest time of year! Be sure to pick up your copy at Walmart, available on October 9th! The limited edition Walmart exclusive includes the Blu-ray, Digital, and DVD formats of the movie. 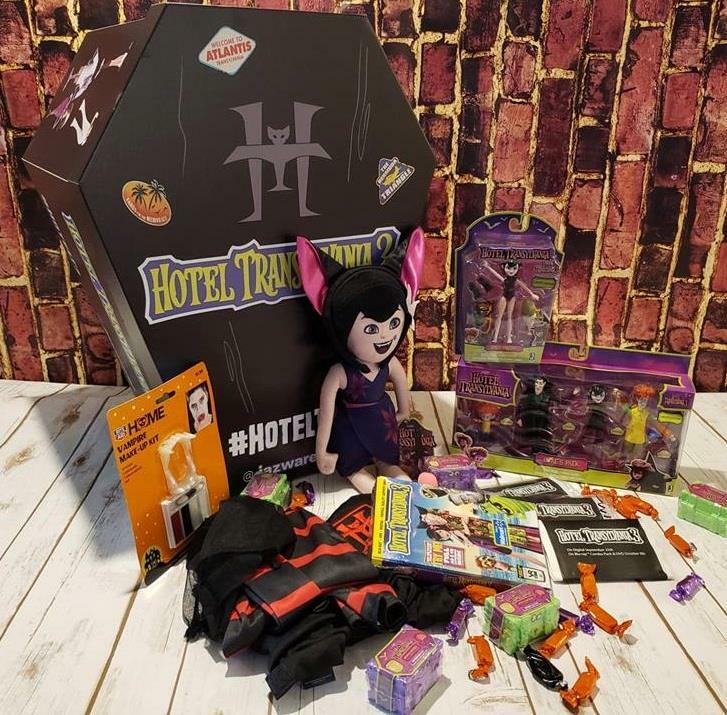 It also includes an activity book filled with Hotel Transylvania 3 AR and VR activities to help keep the kids entertained all Halloween season long! For those who don’t mind waiting, the movie is coming to US Netflix in January 2019. Those outside the US can use a Netflix VPN with a US server to access it. 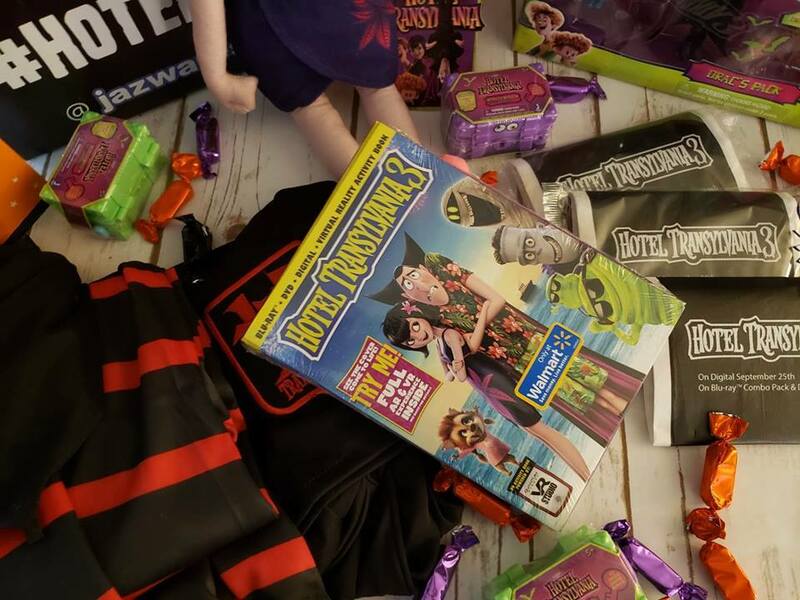 More Hotel Transylvania 3 Fun with Jazwares! The Hotel Transylvania fun doesn’t stop with the movie! Jazwares has released a line of adorable toys featuring your favorite characters. The line features a Mavis doll and mini figures of all of your favorite characters from the Ghoul Gang. Kids can reenact their favorite scenes from the movie or take the crew on new adventures. Dress up as Dracula for Halloween and then take Mavis along when you go trick or treating! If you’re ready to get in the mood for Halloween, plan your own Halloween family movie night! 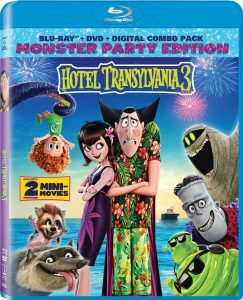 Pick up a copy of Hotel Transylvania 3 and have a monstrously wonderful time together! Are You Excited for ABBA’s New Music? My kids love the Hotel Transylvania series. We’re ready to see this one again. We saw the first two Hotel Transylvania movies, but not the third. I definitely want to do a movie night soon! What a fun Halloween movie! There’s so much talk about it that I’m getting excited! Oh I need a copy! I didn’t get to watch this in cinema. My niece will be happy! We so wanted to see this movie and didn’t get a chance. I will have to buy the DVD so we can have a Halloween Movie night. Hotel Transylvania 3 is the perfect movie for our movie night! And those toys are so so cute. I am sure my kid will want to have them all. I love the toys, we had such a fun movie night! My son has already watched the movie 5 times over, he’s obsessed! I think the Hotel Transylvania movies are really cute. I’ve only seen the first one, but look forward to viewing the other two. My kids are older and still love this movie. It’s the perfect Halloween movie for families. The first two were such cute movies. This series has such a great cast. We enjoyed the previous ones so we are definitely going to watch this one. Have a monstrously wonderful Halloween to you too. But I am still confused about the costumes. These toys are so good but my dog hates that. That was an amazing movie to watch with kids. They loved it. Great watch and fun movie.